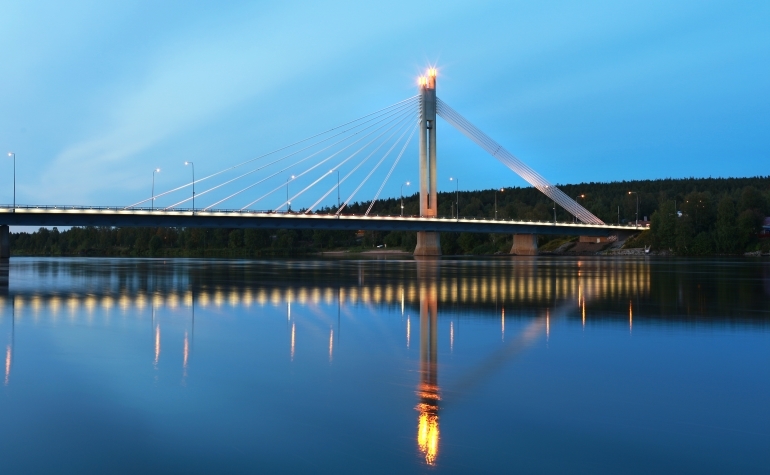 Kemijoki Oy is the most important producer of hydropower and regulating power in Finland. We own 20 hydropower plants, 16 of which are located at the Kemijoki watercourse area, two at River Lieksanjoki and two at River Kymijoki. In addition, we regulate the reservoirs in Lokka and Porttipahta as well as Lake Kemijärvi and Lake Olkkajärvi. Our most important goal is to produce hydropower for our stakeholders reliably and cost-effectively. We operate as a commissioner and expert organization of hydropower production. It means that we acquire most of our operations from service providers. Thanks to our agile, partnership-based operating model, we are able to produce hydroelectricity cost-efficiently and adapt to changing conditions. Sustainability is at the core of Kemijoki’s business operations. Together with our partners, we fulfil hydropower obligations, but we want to do more. We are developers of hydropower expertise, employers and active members in the riverside communities. 1) We are the most cost-effective. We take care of our long-term overall efficiency. We take the direct and indirect costs of our operations into consideration and develop our business and know-how responsibly and in accordance with our values. Good operational preconditions at the river are a prerequisite for cost-effective hydropower production. 2) We are the most innovative. We are actively looking for ways to make our operations more efficient – we maintain and develop our power plants and the ways in which we operate. We improve the efficiency of the river in a responsible manner, for example with the help of environmental work and initiatives on river bed improvement. We encourage our personnel and partners to develop and implement new, bold solutions. 3) We secure the operability of the electric system. The availability of our power plants is high. We work in close cooperation with Kemijoki Oy’s stakeholders and with other nationally important actors involved in ensuring that there is a sufficient supply of electricity. Our Code of Conduct defines the ways we treat each other and do business. It is a tool for everyday work and helps Kemijoki Oy’s employees assess and consider things in advance. It is everyone’s right and duty to understand the ethical principles of the Code and act accordingly. Our shared goal is to prevent situations which could lead to potential violations of this Code.